I want to share with you a project I did with the eight-year-old girls from church who I do activities with a couple times a month. We talked about finances and made these give, save, spend jars. I think it got them excited about making money and then saving it for a purpose. 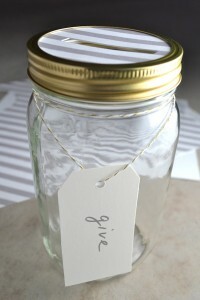 And I like using mason jars because they’re clear and you can see the money accumulating. 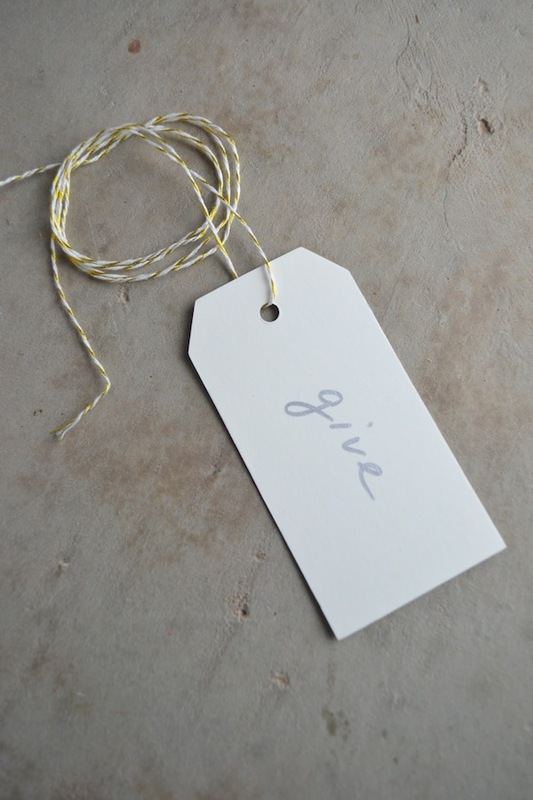 The “give, save, spend” verbiage comes from Dave Ramsey, but you can write whatever you want on the tags. It’s a great project to do with your kids because it will keep their hands busy and their attention focused as you talk about finances with them. 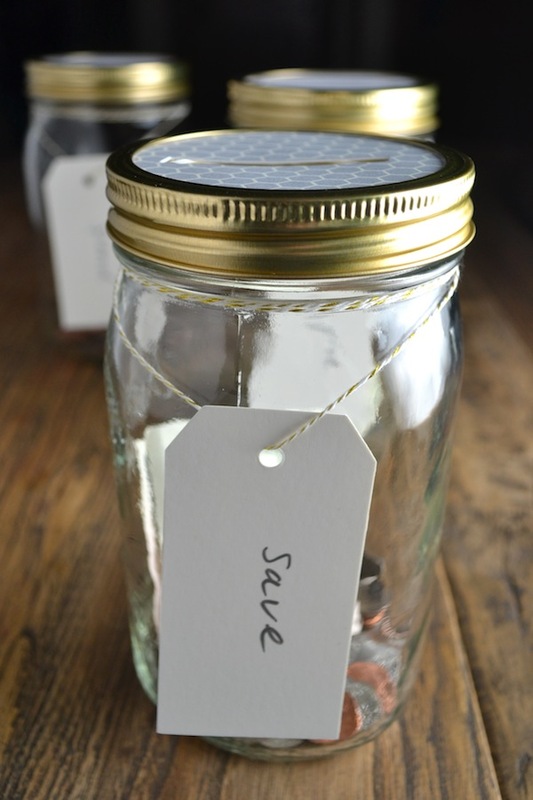 You can decided together how much to give, save, and spend and talk about specific goals to focus on. And it was a good reminder for me too. What are my financial goals? Am I giving and saving enough? What am I spending my money on? 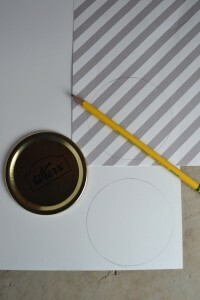 Use a pencil to trace the flat lid onto a piece of card stock and a piece of scrapbook paper. 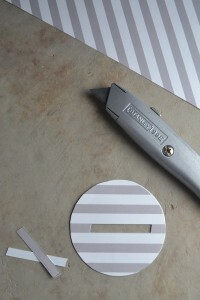 Cut the traced circles out with a pair of scissors. 3. 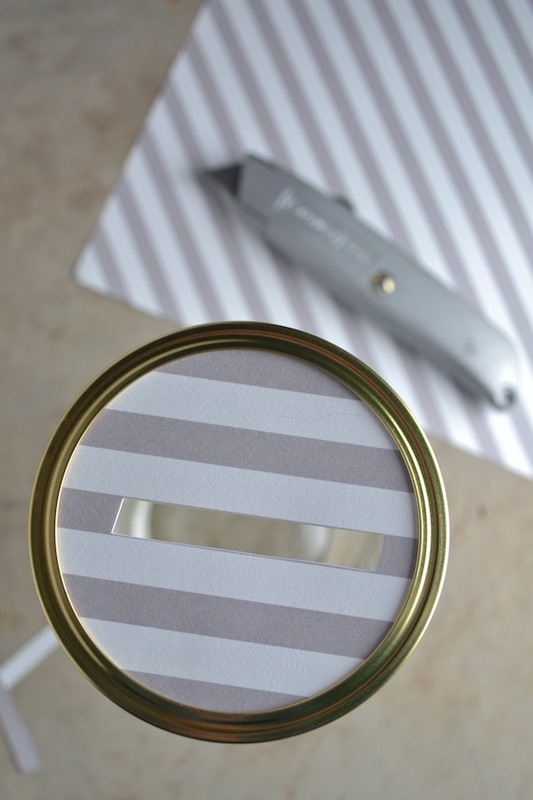 Using two small pieces of double sided tape, tape the card stock circle and the scrapbook paper circle together. Put the tape along the edges so it’s not in the center where you’ll cut the money slot. 4. Using an X-ACTO knife, cut a slot in the circle that is big enough to put coins and bills through. 5. Put the paper circle in the lid ring and screw the lid onto the jar. 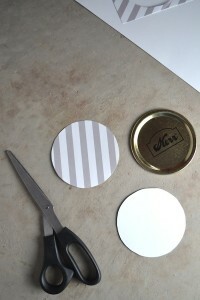 If the paper circle doesn’t fit in nicely, trim the edges a little more. 6. Take some twine (a couple feet long) and thread it through a paper tag. 7. Write give, save, or spend on the tag with a pen or marker. 8. 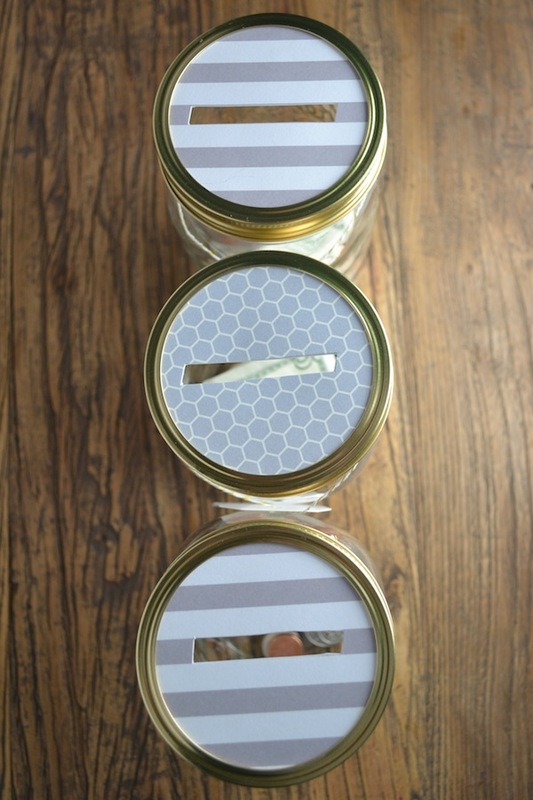 Wrap the twine around the jar a couple times and tie it off with a square knot. Cut off the excess twine. 9. 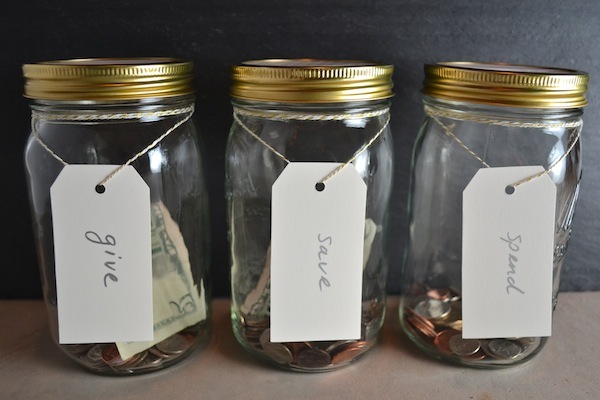 Repeat these steps two more times until you have three money jars. And that’s it! I used two different patterns of scrapbook paper for mine, but you could do all the same pattern or three different patterns. Michaels has some really good colors and patterns of paper. I really like how they turned out. 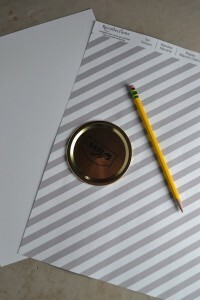 They’re simple, but pretty, and I’d love to use them as a money bank myself. 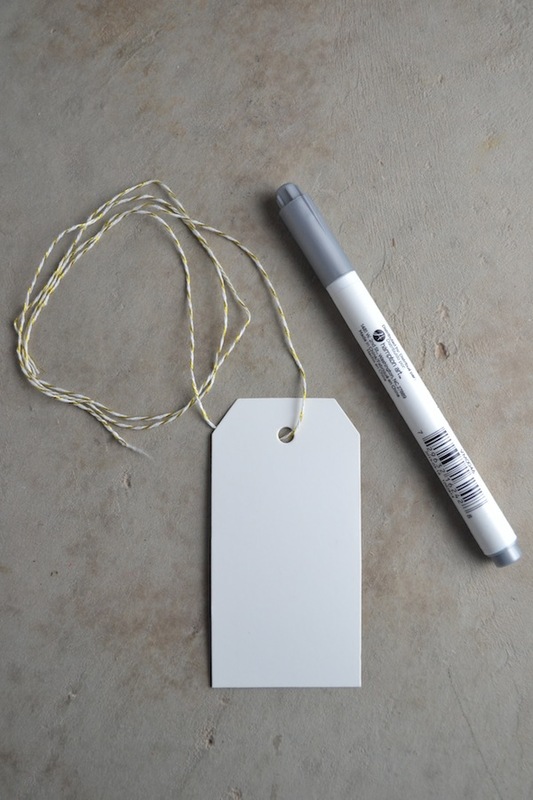 If you’d like some nice printout tags, Good Gravy Designs has some cute ones. 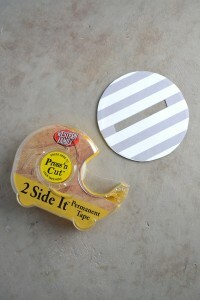 And if I’d left myself enough time I would have just ordered these mason jar money slot lids. They’re pretty cool. But then I guess we wouldn’t have had anything to do! 🙂 Do you use this financial philosophy in your own life?